Comment: Replace old windows in townhouse. Comment: Need to add a partial lattice like wall to one side of patio/porch. Comment: Our home was built in '66 and the original windows are still here. We're interested in getting quotes for all new windows and a new back door. Comment: All windows need screens...approximately 10 to 12 windows...hopefully a discount can be given. 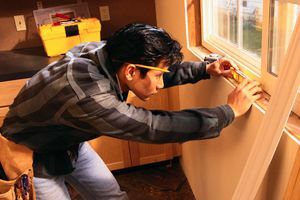 San Antonio Window Replacement Companies are rated 4.73 out of 5 based on 692 reviews of 42 pros. Not Looking for Windows Contractors in San Antonio, TX?